Optimal Board Size - Accounting Performance – Jordan - Banks. Abeysekera, I., 2010. The role of corporate governance in intellectual capital disclosure of Kenyan listed firms. Journal of Intellectual Capital, 11(4), 14. Adams, R. B., &Mehran, H., 2005.Corporate performance, board structure and its determinants in the banking industry, in EFA 2005 Moscow Meetings. Akhtaruddin, M., Hossain, M. A., Hossain, M., & Yao, L., 2009. Corporate governance and voluntary disclosure in corporate annual reports of Malaysian listed firms. Journal of Applied Management Accounting Research, 7(1), 1-19. Aljifri, K., &Moustafa, M., 2007. The impact of corporate governance mechanisms on the performance of UAE firms: an empirical analysis. Journal of economic & administrative Sciences, 23(2), 71-93. Al-Matari, E. M., Al-Swidi, A. K., Fadzil, F. H., & Al-Matari, Y. A., 2012. The Impact of board characteristics on Firm Performance: Evidence from Nonfinancial Listed Companies in Kuwaiti Stock Exchange. International Journal of Accounting and Financial Reporting, 2(2), Pages-310. Al-Matari, Y., Al-Swidi, A., &Fadzil, F., 2012. corporate governance and performance of Saudi Arabia listed companies. British Journal of Arts & Social Sciences, 9, 1-30. Al-Musalli, M. A. K., & Ismail, K. N. I. K., 2012. Intellectual capital performance and board characteristics of GCC banks. Procedia Economics and Finance, 2, 219-226. Alsaeed, K., 2006. The association between firm-specific characteristics and disclosure: The case of Saudi Arabia. Managerial Auditing Journal, 21(5), 476-496. Amran, N. A., & Ahmad, A. C., 2013. Effects of ownership structure on Malaysian companies’ performance. Asian Journal of Accounting and Governance, 4, 51-60. Anderson, R. C., &Reeb, D. M., 2003. Founding‐family ownership and firm performance: evidence from the S&P 500. The journal of finance, 58(3), 1301-1328. Barako, D. G., Hancock, P., &Izan, H. Y., 2006. Factors influencing voluntary corporate disclosure by Kenyan companies. Corporate Governance: An International Review, 14(2), 107-125. Barnhart, S. W., & Rosenstein, S., 1998. Board composition, managerial ownership, and firm performance: An empirical analysis. Financial Review, 33(4), 1-16. Bonn, I., Yoshikawa, T., &Phan, P.H., 2004. Effects of board structure on firm performance: A comparison between Japan and Australia. Asian Business & Management 3,105-125. Boone, A. L., Casares Field, L., Karpoff, J. M., &Raheja, C. G., 2007. The determinants of corporate board size and composition: An empirical analysis. Journal of Financial Economics, 85(1), 66-101. Chaganti, R. S., Mahajan, V., & Sharma, S., 1985. Corporate board size, composition and corporate failures in retailing industry. Journal of Management Studies, 22(4), 400-417. Chaghadari, F,M., 2011. Corporate governance and firm performance. International Conference on Sociality and Economics Development, 10, 484- 489. Cheng, S., Evans, J.H., &Nagarajan, N. J., 2008. Board size and firm performance: The moderating effects of the market for corporate control, Review of Quantitative Finance and Accounting, 31(2), 121-145. Coles, J. L., Daniel, N. D., & Naveen, L., 2008. Boards: Does one size fit all?.Journal of Financial Economics, 87(2), 329-356.
Cooper, D. R., & Schindler, P. S., 2003. Business research methods (8th ed.). Singapore: McGraw-Hill. Dallas, L.L., 2001. Development in the US board of directors and the multiple roles of corporate. Dalton, D. R., Daily, C. M., Ellstrand, A. E., & Johnson, J. L., 1998. Meta-analytic reviews of board composition, leadership structure, and financial performance. Strategic Management Journal, 19(3), 269-290. Dalton, D. R., Daily, C. M., Johnson, J. L., &Ellstrand, A. E., 1999. Number of directors and financial performance: A meta-analysis. Academy of Management journal, 42(6), 674-686. Driscoll, J. C., &Kraay, A. C., 1998. Consistent covariance matrix estimation with spatially dependent panel data. Review of economics and statistics,80(4), 549-560. Eisenberg, T., Sundgren, S., & Wells, M. T., 1998. 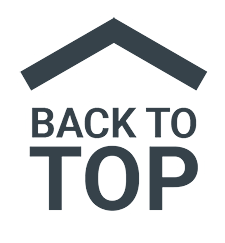 Larger board size and decreasing firm value in small firms. Journal of financial economics, 48(1), 35-54. El-Chaarani, H., 2013. The success keys for family firms: A comparison between Lebanese and French systems. 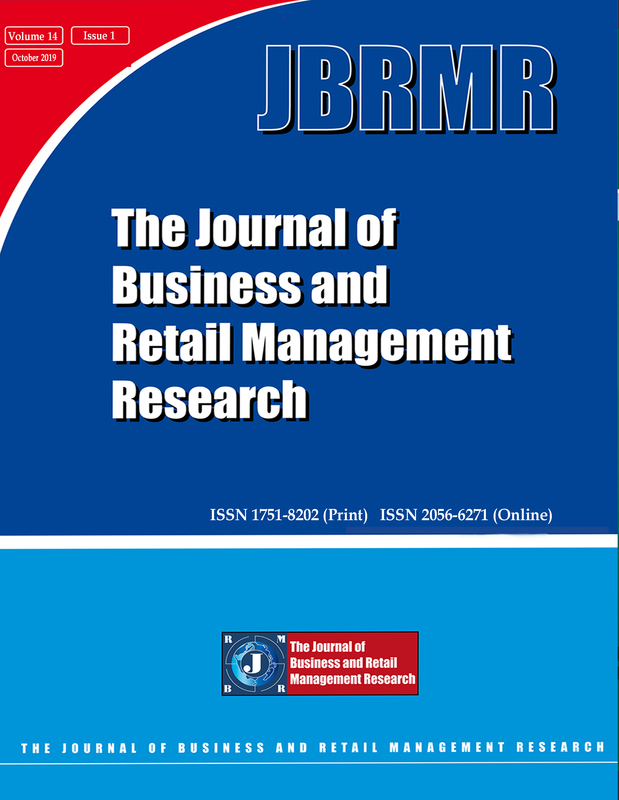 Journal of Business and Retail Management Research, 8(1). Fama, E. F., 1980. Agency problems and the theory of the firm. The Journal of Political Economy, 288-307. Ghabayen, M. A., 2012. Board characteristics and firm performance: Case of Saudi Arabia. International Journal of Accounting and Financial Reporting,2(2), Pages-168. Ghabayen, M.A., Raihan. N.M., &Norsiah. A., 2016. Board characteristics and corporate social responsibility disclosure in the Jordanian banks. Corporate Board: role, duties and composition, 12 (1). Greene, W. H., 2000. Econometric analysis (International edition). Grove, H., Patelli, L., Victoravich, L. M., & Xu, P. T., 2011. Corporate governance and performance in the wake of the financial crisis: Evidence from US commercial banks. Corporate Governance: An International Review,19(5), 418-436. Guest, P.M., 2009. The impact of board size on firm performance: evidence from the UK. The European Journal of Finance 15(4),385-404. Hair, J. F., Black, W. C., Babin, B. J., Anderson, R. E., & Tatham, R. L., 2010. Multivariate data analysis. Haniffa, R., &Hudaib, M., 2006. Corporate governance structure and performance of Malaysian listed companies. Journal of Business Finance & Accounting, 33(7‐8), 1034-1062. Hermalin, B. E., &Weisbach, M. S., 2003. Boards of directors as an endogenously determined institution: A survey of the economic literature. Economic Policy Review – Federal Reserve Bank of New York, 9, 7–26. Hillman, A. J., & Dalziel, T., 2003. Boards of directors and firm performance: Integrating agency and resource dependence perspectives. Academy of Management review, 28(3), 383-396. Ibrahim, H., &Samad, F. A., 2011. Agency costs, corporate governance mechanisms and performance of public listed family firms in Malaysia. South African Journal of Business Management, 42(3). Jensen, M. C., &Meckling, W. H., 1976. Theory of the firm: managerial behavior, agency costs and ownership structure. Financial Economics, 3, 305-360. Jensen, M., 1993. The modern industrial revolution, exit, and the failure of internal control systems. Journal of Finance, July 1993, 48(3), 831-880. Jizi, M. I., Salama, A., Dixon, R., &Stratling, R., 2014. Corporate governance and corporate social responsibility disclosure: evidence from the US banking sector. Journal of Business Ethics, 125(4), 601-615. John, K., &Senbet, L. W., 1998. Corporate governance and board effectiveness. Journal of Banking & Finance, 22(4), 371-403. Kervin, B., 1999. Methods for business research. (2nded.). New York: HarperCollins. Kiel, G. C., & Nicholson, G. J., 2003. Board composition and corporate performance: How the Australian experience informs contrasting theories of corporate governance. Corporate Governance: An International Review, 11(3), 189-205. Kim, K.A., Nofsinger, J.R. and Mohr, D.J., 2009. Corporate Governance, Third Edition, Pearson. Kline, R. B., 1998. Principles and practices of structural equation modeling. New York: Guilford. Krishnan, G., & Visvanathan, G., 2009. Do auditors price audit committee's expertise? The case of accounting versus nonaccounting financial experts. Journal of Accounting, Auditing & Finance, 24(1), 115-144. Lipton, M. &lorsch, J. W., 1992. A modest proposal for improved corporate governance. Business Lawyer, 48(1), 59–77. Liu, Y., Ahlstrom, D., &Yeh, K. S., 2006. The separation of ownership and management in Taiwan's public companies: An empirical study. International Business Review, 15(4), 415-435. Mak, Y. T. & Li, Y., 2001. Determinants of corporate ownership and board structure: Evidence from Singapore. Journal of Corporate Finance, 7(3), 236-256. Naushad, M., & Malik, S. A., 2015. Corporate Governance and Bank Performance: A Study of Selected Banks in GCC Region. Asian Social Science, 11(9), 226. Pathan, S., 2009. Strong boards, CEO power and bank risk-taking. Journal of Banking & Finance, 33(7), 1340-1350. Raheja, C., 2005. Determinants of board size and composition: a theory of corporate boards. Journal of Financial and Quantitative Analysis 40(2), 283–306. Saibaba, M. D., & Ansari, V. A., 2013. Audit committees, board structures and firm performance: a panel data study of BSE 30 companies. IUP Journal of Accounting Research & Audit Practices, 12(2), 19. Shakir, R., 2008. Board size, executive directors and property firm performance in Malaysia. Pacific Rim Property Research Journal, 14(1), 1-16. Topak, I, T., 2011. The Effect of Board Size on Firm Performance: Evidence from Turkey. Middle Eastern Finance and Economics. 14. 119-127. Torres-Reyna, O., 2007. Panel data analysis fixed and random effects using Stata (v. 4.2). Data & Statistical Services, Priceton University. Van Ees, H., Postma, T. J., &Sterken, E., 2003. Board characteristics and corporate performance in the Netherlands. Eastern Economic Journal, 41-58. Veal, A. J., 2005. Business research methods: A managerial approach. Pearson Education Australia/Addison Wesley. Veronica Siregar, S., &Bachtiar, Y., 2010. Corporate social reporting: empirical evidence from Indonesia Stock Exchange. International Journal of Islamic and Middle Eastern Finance and Management, 3(3), 241-252. Yermack, D., 1996. Higher market valuation of companies with a small board of directors. Journal of Financial Economics 40, 185–212. Zahra, S. A., & Pearce, J. A., 1989. Boards of directors and corporate financial performance: A review and integrative model. Journal of management, 15(2), 291-334.